Alafair Burke is the bestselling author of eleven previous novels. She co-authors the bestselling Under Suspicion series with Mary Higgins Clark. 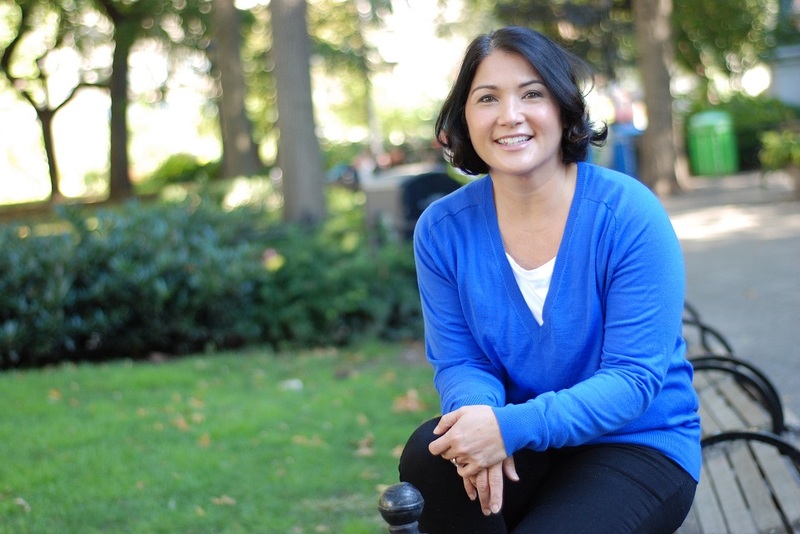 A former prosecutor, she now teaches criminal law and lives in New York City. In The Wife, Angela Powell is married to Jason, a brilliant economics professor at NYU and a minor celebrity in New York City. Angela has a tragic past, but after marrying Jason, she and her son move out of her mother’s home and look forward for the chance to reboot her life. When a college intern accuses Jason of sexual misconduct and another woman, Kerry Lynch, comes forward claiming Jason raped her, Angela’s near-perfect life with Jason begins unravelling. Jason insists he’s innocent of both charges, but when Kerry disappears, Angela is forced to take a closer look at her life. And when she is asked to defend Jason in court, she realizes her loyalty to her husband could unearth old secrets. ‘The Wife,’ has twists in the plotline. Will you talk about the role of twists in thrillers and suspense novels? Plots twists may be one of the major reasons why people read crime fiction. I think surprises that come completely out of the blue are sort of like cheating. One of the tricks to writing successful plot twists is to present the unexpected, yet once it happens, it should seem to have been almost inevitable to the reader. For me, the best twists I’ve come up with derived not from the story’s plot, but from within the character. It’s important for the twist to come from the character’s past or from whatever makes that person tick—perhaps in a way that isn’t typical of other people. ‘The Wife,’ has an unreliable narrator, and I wasn’t sure whom to trust as I read on. Will you talk about such a narrator? I have to go back to the book and see if she’s really unreliable. [Laughter]. I’m not convinced Angela Powell ever says something false to the reader. She’s a woman living a carefully constructed life, one that makes her feel, as she says, ‘good and boring.’ She wants to be happily married, to be a proud and supportive wife, a doting mother to her son, and she doesn’t like drama. Angela’s comfortable with routine and has no desire for a public life. But when her husband’s choices begin eroding the bubble she’s built around herself, she must force herself to confront some uncomfortable truths. She’s not so much unreliable as as she is in denial about the choices she and her husband have made; choices that have brought them to where they are in the book. Maybe she’s not transparent because she’s not terribly self-aware. 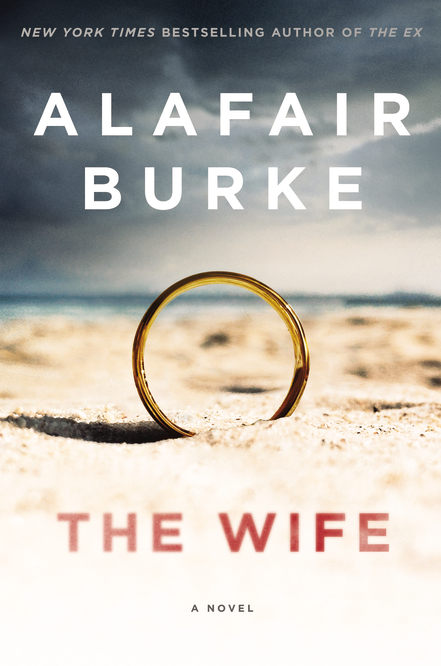 Would you categorize ‘The Wife’ as a domestic thriller, a legal thriller, a mystery, or all three? [Laughter] I guess I’d say it’s all three. I agree. You hit all the bases with this one. It’s a domestic thriller because it deals with life within a marriage in crisis. It’’s also a legal thriller in which Angela finds herself needing to work outside the criminal justice system because her husband is the defendant. Jason and his attorneys have a confidential relationship, and therefore she has to gather information elsewhere. She has no idea if her husband and his legal team are being honest with her. And, it’s a bit of a mystery as Angela slowly gathers information from Twitter alerts and other sources, in a slow drip as the story unfolds. Speaking of Twitter and a slow dripping of information, among other things, ‘The Wife’ deals with sexual misconduct in the workplace. It seems to have presaged certain current events. Will you talk about this? Sure, when the Harvey Weinstein revelations began surfacing and then kept coming, the #Me Too movement suddenly began. I thought no one would read the book because it would feel to real. I never thought the novel would have such a real truth and current backdrop. When the Weinstein news broke, the book was already printed and I couldn’t make changes. I had to think about the conundrum concerning whom to believe, the woman or the man. You mentioned ‘truth’ and I’ve always felt the real truth lies in fiction, more so than in memoir or biography. I agree. The other day, I was talking with another attorney. We were discussing a false confession and how it seemed to resemble fiction. We agreed that good crime fiction taps into what is happening in the real world. It can be presented more succinctly and with more clarity in fiction than in a journalistic piece. And, you don’t have to resort to footnotes or annotate sources. You just present it as truth. The novel also describes perjury in the courtroom. Tell us a bit about lying under oath. One of the things Angela must ask herself is whether or not she’ll lie for her husband, if she’s put under oath. Is it a red line she won’t cross? As a former prosecutor, I recall looking at lists of witnesses and thinking I knew when they would lie. There were times when defense witness took the stand and it was assumed they would by lying, but when actually facing a prosecutor and jury, they often told the truth. The fear of the law can force people into telling the truth. You co-write books with Mary Higgins Clark. Will you talk about that? I’ve fallen in love with her, and with the process of co-authoring books. It frees me in a way that writing by myself can’t do. If I hit a wall when writing on my own, I have nowhere else to go but back inside my head until I figure it out. But when I’m working with Mary, we toss ideas back and forth and work out plot kinks very quickly. I couldn’t ask for a better co-author. If you could re-experience one book again as though reading it for the first time, which one would it be? It would be Presumed Innocent by Scott Turow. It’s a legal and domestic thriller. I love the legal world he created—the pressures of a politicized DA’s office, and the vivid characters he portrayed. If you could meet one fictional character in real life, who would it be? And why? It would be Kinsey Millhone of Sue Grafton’s alphabet series. If she were a real person, I know we’d be good friends. What’s coming next from Alafair Burke? I’m working on a new Ellie Hatcher novel. And the next book in the Under Suspicion series with Marry Higgins Clark will be coming soon. 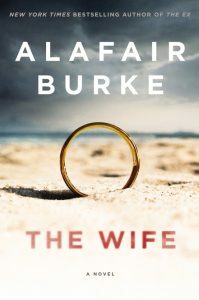 Congratulations on writing ‘The Wife,’ a subtle, smart, unputdownable and suspenseful thriller that keeps the reader guessing, while tearing through the pages at breakneck speed. I was so caught up, I read it in two sittings.